IT companies to qualify on this platform need Qualified Institutional Buyer (QIB) shareholding of at least 25 per cent; other companies need 50 per cent. Sebi has proposed to expand the definition of QIBs to investors such as NBFC, family trusts and individual foreign investors. Also, to do away with the 25 per cent cap on single investors listed on the platform. NBFC and Trust to have net worth of at least Rs. 500 crores. Further, it proposes to reduce the minimum institutional investor participation, from 75 per cent to 50 per cent. Also, to increase the ceiling on allotment to individual institutional investors from 10 per cent to 25 per cent to a single entity. 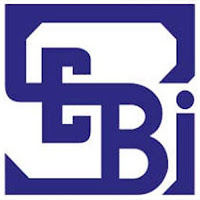 Sebi has also proposed to make market making compulsory for a minimum of three years for an issue size of less than Rs 100 crore.